The mucus in your nose, mouth, throat, and lungs is usually a clear, colorless thin fluid that helps to keep tissue in your airways moist. The color and consistency of mucus secretions can tell a lot about your health. If you have an infection, the color of mucus can change to a green or yellow color and become a lot thicker and stickier. If you cough a lot or you have a serious respiratory infection, the color of mucus can turn brown, pink, or even red. Smoking or breathing in black dust can make you cough up black mucus. The production of mucus in your airways plays a key role in keeping you healthy. Mucus helps to remove germs and trap bacteria before they can start to do damage. When you get an upper respiratory infection, mucus goes to work to help get rid of the bugs. You may find that as the infection gets worse or better, the color of the phlegm or mucus you cough up changes. It can start off clear and white, before turning yellow and then green. In this article, I am going to examine what the color of mucus can tell about your health. Along with the other symptoms of green, yellow, white, brown or pink mucus, the color of mucus can help to identify what is causing the thick mucus to appear. Everyone produces mucus and it is an important fluid to help prevent respiratory infections and irritations. Other reasons why mucus consistency and color can change are due to irritation, allergic reactions, or respiratory infections that cause you to cough up mucus. Why does mucus change color during an infection? If your nose dries out because of too much blowing your nose or rubbing it, some small blood vessels in your nose could break and bleed. The old blood can mix with your already green-colored mucus to turn phlegm brown or other shades of color. Let’s look at what the color of mucus can tell about your health. Clear mucus with no color is a good indication that your upper respiratory system and digestive system is in good health. Coughing up yellow or green mucus usually means that you have an infection in your lungs, sinuses, or upper respiratory tract. Here are the most common health conditions that cause you to cough up yellowish-green mucus. Coughing up yellow or green mucus or blowing yellow snot from your nose is often a result of bronchitis. Other symptoms of bronchitis include chest discomfort, fatigue, and shortness of breath along with common cold symptoms. The cough may last for several weeks after you got rid of the infections. There are many natural remedies for bronchitis that can help you stop coughing up yellowish-green mucus. For example, garlic is a natural antibiotic that is an effective natural remedy for chest infections. You can also try some of my great essential oils to relieve bronchitis symptoms or these foods to cleanse your lungs. You might have yellow or green snot from your nose or cough up greenish phlegm if you have a sinus infection or sinusitis. Your sinuses are located in the center of your forehead and at either side of your nose. Your sinuses are usually filled with air and are lined with tissue that produces mucus. Some natural treatments you can make at home for sinus infections include inhalation with essential oils to clear your nasal passages and break up green mucus. Also, horseradish and grapefruit seed extract (GSE) are effective treatment for sinusitis as they both unblocks your nose and kills off microbes that cause yellow/green sinus mucus. Pneumonia is a potentially serious lung infection that can cause you to cough up thick yellow or green mucus. Pneumonia can also cause severe chest pains on your left side or right-sided chest pain, depending on which lung is infected. If you suspect you have pneumonia, it’s important to get proper medical attention as it can become a life-threatening condition. Cystic fibrosis is an inherited medical condition that can cause chronic coughing where a person brings up greenish-yellow phlegm. Doctors also say that cystic fibrosis puts a person at greater risk of developing other respiratory infections like pneumonia, bronchitis, or sinusitis. Having bronchitis or a sinus infection can be frustrating when you constantly cough up thick yellow or green-colored phlegm. This is how to make your own remedy to reduce the thickness of yellow/green snot. For this, you will need a neti pot to irrigate your sinuses. Mix 1 teaspoon salt with 2 cups of warm water that has been boiled and cooled (this is to prevent infections from tap water). Tilt your head at a 45-degree angle over a sink. Gently pour the saline solution into your nostril. The liquid should flow out of your other nostril. Blow your nose to get rid of excess liquid. Repeat at least 2 times a day until your sinus infection has cleared and you no longer have thick mucus in your sinuses. Brown mucus or rust-colored mucus is usually caused by the same reasons as yellow or green mucus, however, the brown color comes from old blood. Chronis obstructive pulmonary disease (COPD) is one lung condition that can result in coughing up brown phlegm. There are many reasons to strengthen the health of your lungs. Being active, enjoying a healthy diet, and stopping smoking immediately are just some ways that you can boost your lungs’ health and help avoid lung disease. Sometimes you might notice that mucus can be a thick white color. What does it mean when you cough up or spit out white mucus? 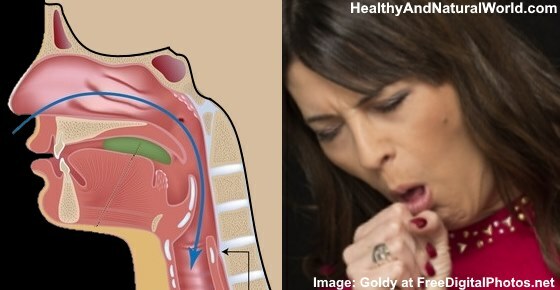 One of the first signs of bronchitis is white mucus that starts to clog up your airways along with an irritating cough. Stomach acid that irritates the lining of your esophagus can result in coughing up whitish mucus as well as having a feeling of something stuck in your throat. Congestive heart failure happens when the heart can’t pump enough blood to meet the body’s needs. In some cases, people with congestive heart failure frequently cough up white mucus. Because your heart is located on the left side of your chest, you should never ignore left-sided chest pains. Some ways to care for the health of your heart are exercising, healthy diet, and cutting out stress as much as possible. Coughing up pink or red-colored mucus usually means that there is some blood mixed in with the mucus. Any health condition that results in chronic coughing can damage and irritate your airways, resulting in pink-tinged mucus. Sometimes the mucus could be pink or red depending on the amount of blood in the mucus. You could cough up blood-streaked mucus when you have pneumonia, chronic bronchitis, or sinusitis. You can help keep your lungs healthy and reduce your risk of developing lung cancer by regularly consuming garlic. Sometimes you may even notice that you cough up or blow out your nose that you have black secretion. The black soot that enters your nostrils might be trapped in the mucus, causing not only black snot but also black boogers. Usually, there is nothing to worry about if you have yellow, green, brown, or even occasional pink mucus. Generally, the conditions that cause abnormal mucus with a strange color resolve themselves in 1 to 2 weeks, and the color of your mucus should return to normal. Your symptoms last for more than 10 days and natural remedies don’t give any relief. You blow yellow or green mucus from your nose and have sinus pain or a fever. You have blood in your nasal mucus after a head injury. You cough up large amounts of blood-tinged mucus. You have difficulty breathing and a persistent wheezing cough. You cough up green mucus from your lungs (not from your nose) which lasts for longer than 2 days. You have a high fever and signs of yellow mucus from your lungs. The coughing up of thick mucus causes you to vomit. WebMD. When a cold becomes a sinus infection. WebMD. What your mucus says about your health. Resp Med. 2005 Jun;99(6): 742-747. Ann Thorac Med. 2009 Jul-Sep; 4(3): 115–123. HeartOrg. Warning signs of heart failure. J Cytol. 2013 Oct-Dec; 30(4): 274–275. WebMD. Pneumonia – when to call a doctor.